Renovia’s devices, algorithms, and the Renovia app are designed to work together to depict static and dynamic representations of the pelvic floor. 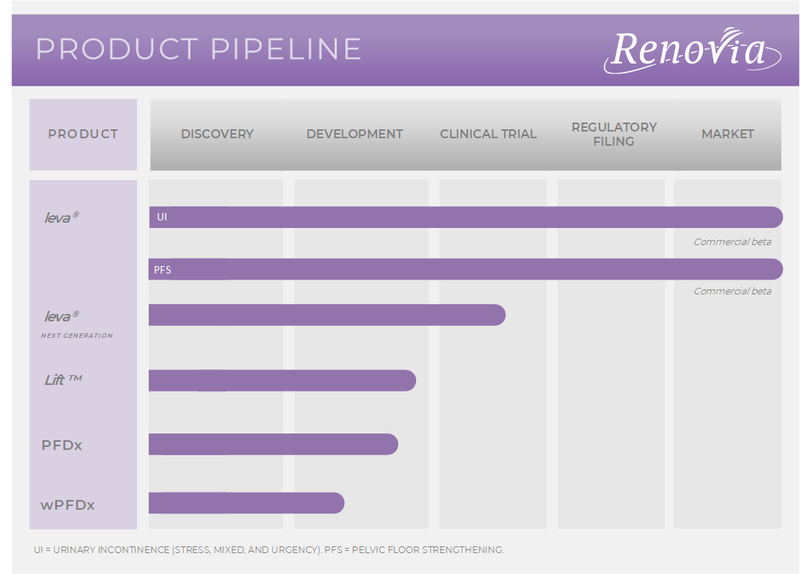 Subject to successful clinical development and regulatory review, Renovia’s product pipeline is being developed for use by patients and healthcare providers to better diagnose and treat pelvic floor disorders. Renovia is investing in both research and clinical development to create new digital therapeutic and diagnostic solutions for pelvic floor disorders.